clinic helvetica,sans-serif;”>Sunday the 19th May 2013, the Mozilla Kenya community Localizers gathered at Naked pizza in Westlands to continue with the journey of ensuring the mozilla products including their favourite browser is available in swahili language; a language that is widely used in East Africa region.This would enable the people in the region to access technology in the language they understand best,preserve the swahili language and also improve customer acceptance and usage of the products. Having all this in mind,we all started on the days activity and we set a goal of translating 1000 words within 4 hours. We need to encourage each other so as to meet a target and therefore decided the one who gathered majority translations gets the TShirt. All you could here is people discussing the new words they are learning and trying to consult for any new words they came across. For the words we were not able to translate we had to write them down so that we could research further and consult so as to give the best translation for the words. The Pizzas arrived and this did not deter us with the translation, people took bites of pizza as we continued with the days agenda of ensuring the dream of having Mozilla products in Swahili language being realized. By the end of the event which was around 5.30 P.M we had made over 300 translations. Fabian Kithusi had the most translated words hence getting the Tshirt. It was an interesting and successful event which made us to to talk on the way forward so as to reach our goals on the localization. Ever localizer was to continue translating and we decided to check on the number of translations one will have by the time we will have our next meeting. 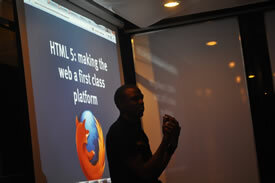 The aim of the event Nairobits Class 2013 webmakers that happened on 23rd of April at Nairobits school of Digital Design was to introduce the students to Firefox OS platform and Open Web Apps development. The students are currently learning web development so it was easy to lure them into mobile apps development using web technologies that they know and on the process of mastering them. By the fact that the students do not need to learn any other new programing language other than what they already know they were very willing to venture into the business of developing web apps. To start of the event I introduce Firefox OS, viagra the technologies used and needed for app development, recipe the opportunities that it presents and how web developers can tap into them. We had a chance of discussing a few APIs that have been expossed by Firefox OS to the developers and explored the possibility of developing apps that target the local market. In the third hour of the event we were ready to dive in to code, try so I showed the students how to set up their development environment, demonstrated web developer tools provided by Firefox and the Firefox OS simulator. Now it was for me to launch my Aptana Studio and start putting together a simple app for illustration purpose. In about an hour and a half we had a simple web app up and running. Through the highly interactive session the students had a chance of learning what they need to be able come up with working web apps that can be deployed on the Firefox OS market place. 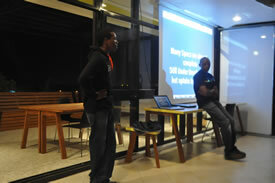 On 12th April 2013, the Mozilla Mombasa Community had their first MozCafe meet up at the splendid Cafe Aroma. The scrumptious coffee and yummy cookies was just more than enough to get us started.Guess what? 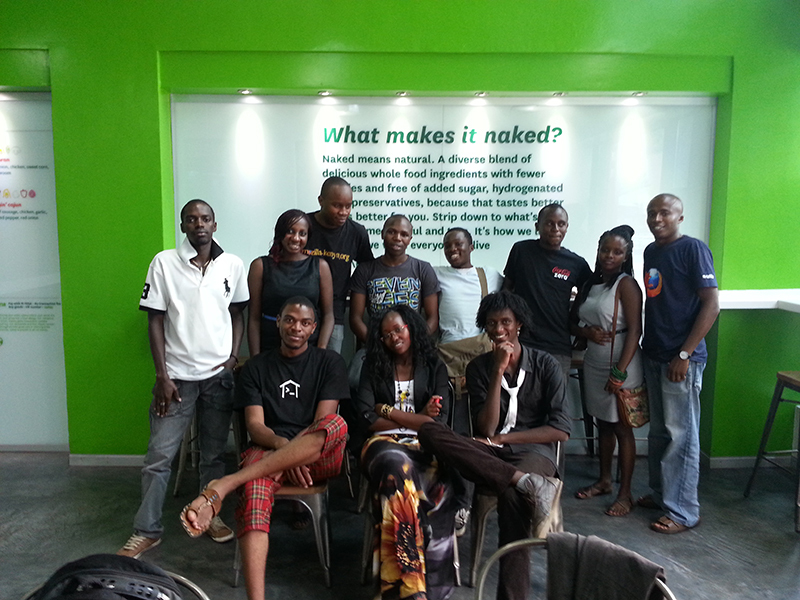 15 people from different universities who are the leads of different IT clubs in Mombasa attended the meet-up. 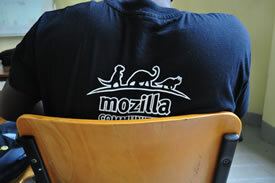 We mainly discussed about the past and future events of the Mozilla Mombasa community specifically highlighting the HTML5 Hackathon and Firefox Flicks event. 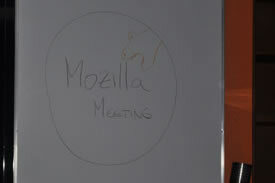 The meeting started off with the attendants giving brief introductions about themselves, what they do and their views about the Mozilla Mombasa Community. We also discussed about the various challenges facing most students when it comes to tech related events and projects and yes this was really interesting…so, the conclusion was, many think “Mozilla is just the browser” and “coding is difficult, it’s only for the professional programmers”And that is why we were there to discuss on ways to motivate people and encourage them to actively participate on development and also further establish the growth of the community. Said Fuad and Alifiyah Ganijee warmly welcomed 4 new recruits to the Community who have been actively participating in the planning and organizing of events; Musa Alfan, Andrew Mwangi, Taqqiya Hamada and Zahra Jalalkhan…Keep it up guys! …HTML5 Hackathon and Firefox Flicks was the next and most interesting part of the agenda, we brainstormed for ideas on making these events really successful and planned for dates and venues to host them.And we could not just end the meeting without mentioning the Mozilla’s 15th Anniversary party, well yeah, I personally can’t wait for it, this will be a mega party of the two most active and vibrant sub communities of Mozilla Kenya; The Mozilla Community in Nairobi and Mombasa. In a nutshell, the day couldn’t have been any better, everything was just WOW! The event was pushed forward to Sunday 14th April after guys requested that it be held on the weekend instead of a weekday. The event kicked off at around 1:30pm at Naked Pizza in Westlands with a total of 14 people present of which 6 were Mozilla Reps and the other 8 recruits under the mentorship of the reps. We started with introductions and catching up with what other people in the group were up to while we waited for the pizzas. After the first pizzas arrived and everyone had a slice we started discussing the Agenda of the day. The following is a summary of what was discussed. Firefox Flicks – Led by Alex (My Mentor) he started off with a brief introduction of what Firefox flicks is. He went over the requirements for the competition, drugstore the theme for this year’s competition and one of the videos we submitted last years. 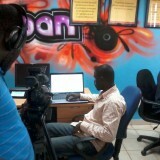 He was able to get some volunteers onto his team to aid with spreading information about the competition throughout the country with the aim of getting more videos from Kenya submitted to the competition this year. Webmaker training and 2013 – this discussion was led by Hezron and Cliff, cheap two of our dedicated reps who were recently in Europe for Mozcamp where they were able to interact with staff from the webmaker project and learn more about it and how they could effectively contribute to it. They shared all the information they had learnt and as a result we were able to get two of the recruits to jump onto their team and plan for two events that will be held later on this year. MozTour 2013 – Led by Kelvin and George (new recruits). They shared their idea to have a series of events that toured the country spreading the Mozilla message and why Firefox is the best browser. Stephen a rep joined them and committed to helping them to ensure the success of their events. 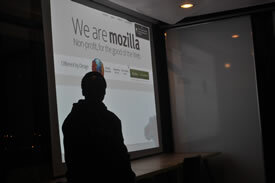 15 Years of Mozilla – Led by Alex. Alex pointed out that it was Mozilla’s 15th birthday and we were to celebrate all that Mozilla has managed to achieve to date together with all our community members. Several ideas were thrown out for the event and more is to come later once the details have been finalized. The event was a success and we managed to talk a lot and make good plans for the rest of the year. Special thanks to all the local reps who brought their mentees/recruits to the meet up and participated to making it a success. So picking up a week later fresh from the Kampala B2G Tour we first headed to JKUAT University taking advantage of the JKUAT TEch Expo to hold a booth and talk about Firefox OS, the Firefox Marketplace and how to deploy apps there. As usual, our booth generated tonnes of traffic with some guys already aware of B2G’s developement while otheres heard of ti for the first time. 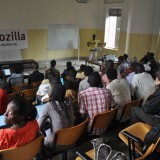 I gave a taklk as well about Mozilla communities in Africa and plans for 2013…more on a differnt blog post on that. So, moving on to Mombasa. This was the final desitination for our Community B2G Tour. We were here back in March where we met with the Mombasa Tech Community lead by Alifiyah Ganijee, Saeed Faud and Ahmed Maawy who took up the responsibility of organizing Mozilla activities in the region. 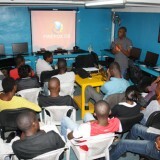 Since then, they’ve held a Mozilla Summer Code Party and now did all the ground preparations for the Mozilla Tour. OK, back to the tour, venue: MEWA IT Center. We had an attendance of around 60 guys mainily from the Mombasa Tech Community and Camara who were gracious enough in providing a venue for the event. Hezron, our hacking guru was sick and sadly absent for this but Vicky and Steve were upto task in taking up his presentations on Mozilla’s QA (Qaulity Assurance Talks) and HTML5 apps development. We started off with Alifiyah talking about the Mombasa Tech Community and their future plans with calls for volunteers to assist in developing their website as well as join the community. I picked up from there with my talk focusing on the mentorship methods (ReMo, Student Reps) we use to involve people in our projects and touched in detail over various Mozilla contribute areas with Vicky backing me up on a couple of questions that popped up from the audience upto a break session for lunch. This was quite a mixed group as we came to realize over chats we had during our lunch break, with a game developer in the house to system developers, network technicians, students and even tonnes of guys who had quite minimal IT skills and were asking for programs that would teach the real basics when it comes to web making. Actually turned up to be a perfect crowd for peer review and mentoring. 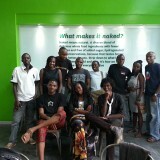 So we settled on a plan to have Webmaker events at the same space being lead by the Msa Tech team. 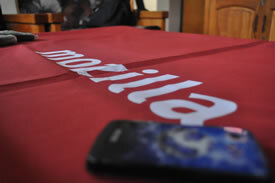 With the developement of Mozilla’s mobile operating system – Firefox OS – being at an advanced stage, the Mozilla team here in Nairobi has been hacking on a B2G powered mobile device learning to develope and deploy HTML5 apps as well as how the system operates. B2G is the Mozilla project from which Firefox OS was born, so B2G = Firefox OS. 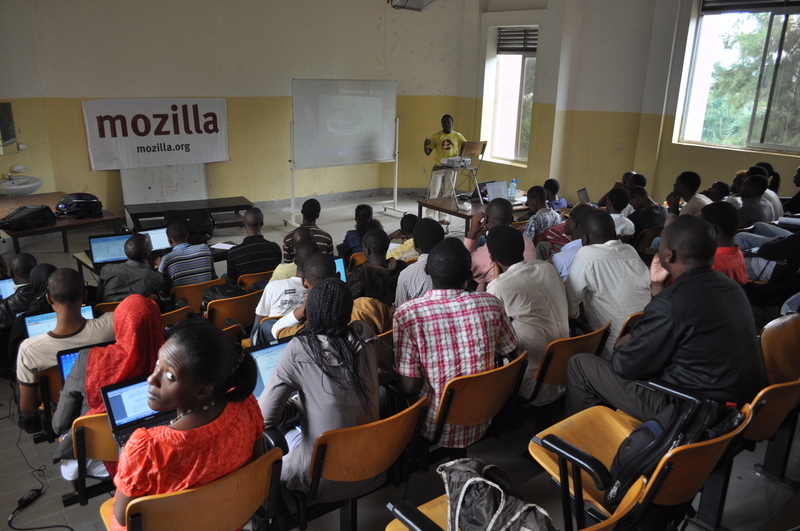 Having established Mozilla communities in coastal Kenya (Mombasa) and Uganda, we figured it would be great if we could share the knowledge we’d gained so far with mozillians there, hence we planned a community B2G tour in East Africa; first stop was Kampala. It had been a year since the last time we visited Uganda ie when the Mozilla community there was born after a team of localizers localized Firefox to Luganda and held a launch for the localized browser, an event that the Katikiro of the Buganda Kingdom, officials from the Ugandan IT ministry, student and faculty members from Makerere University among others atteded and not forgetting a two day tour we did in local universities to talk about Mozilla. So a year later and Moizilla Uganda was celebrating its first anniverssary so what better opportunity to take Firefox OS to them. We (me and Hezron) arrived in Kamapala a day before the anniverssary and immediately went to Makerere University where a huge crowd of students was awaiting for a series of presentations around Webmaker, Localization, general overview of Mozilla contribute and ofcourse not forgetting Firefox OS and HTML5 apps development. A minor (or major) mishap though, 2 weeks before the tour we had broken Gaia on the B2G device and being unable to reset it, we decided to flash a new build of Firefox OS to the phone, a task that took 2 weeks, more than 25 GBs of downloads and going thorugh tonnes of documentation without success So we had to shift most of our practical talks on Firefox OS to HTML5 apps, which ended up working well in the end. 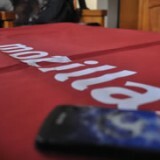 I’ll write more in detail about flashing Firefox OS / B2G. It should be way, way easier when more devices get ported and a stabel version is out. OK, back to the tour. Team Uganda (San James and Moses) led talks about their local community and ofcourse, their expertise in localization, followed be me on Webmaker, Mozilla contribute and our efforts in Africa and Hezron on HtML5 apps, the Firefox Marketplace and a demo on installing apps from the Marketplace on an Adnroid phone. 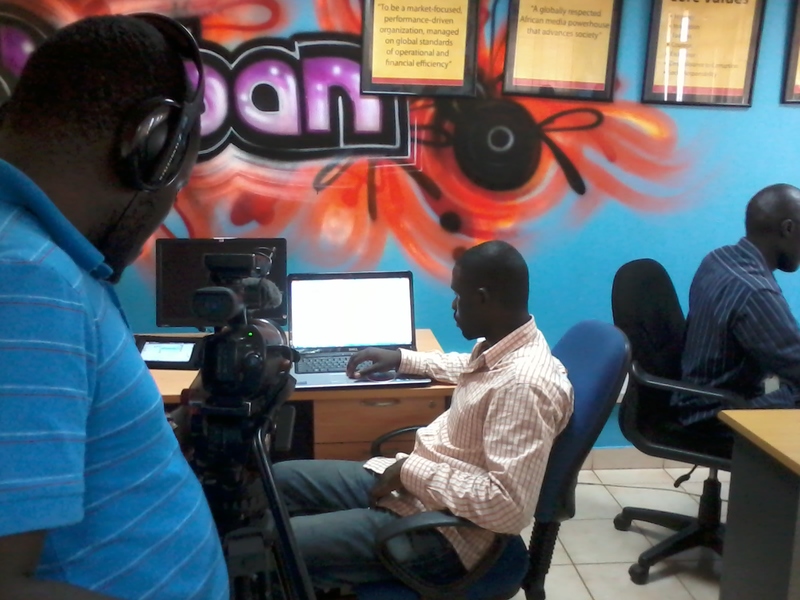 These sessions were covered by NTV Uganda who also did a series of interviews with attendees. 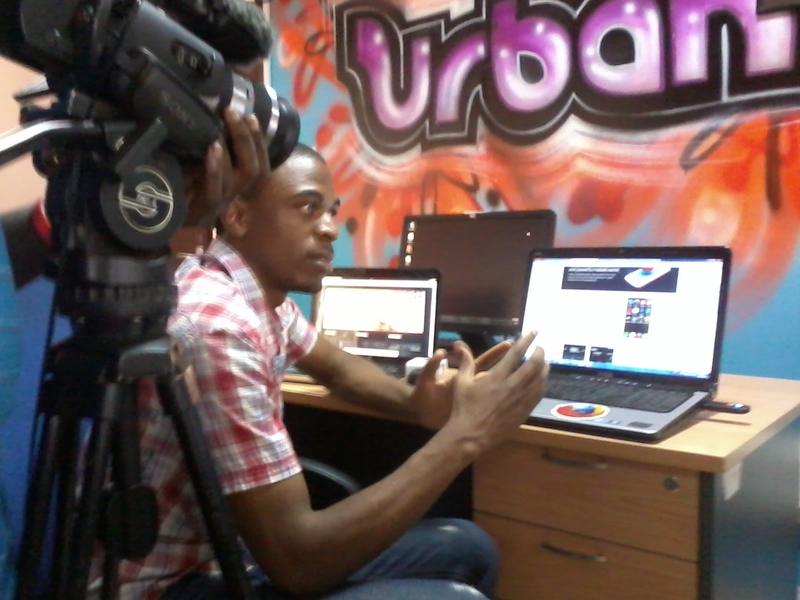 After the Makerere talks, we had a quick lunch and hurried up to a series of interviews at Urban Tv about the local Mozilla Community, localization, Webmaker and the power of HTML5 with Hezron demoing Banabread to show that. We were quite zonned out and called it a day after that. 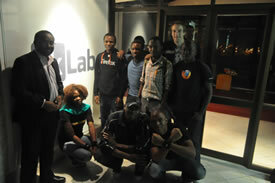 We ended the day chatting up the Mozilla Uganda team and plans for more collaborations of communities withihn Africa. 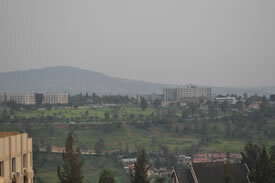 Blog on the second half of the tour comming up soon…..
Rwanda, the land of a thousand hills as well as the 2nd major stop in Mozilla Kenya’s long term vision of spreading Mozilla’s presence across the greater East African region. 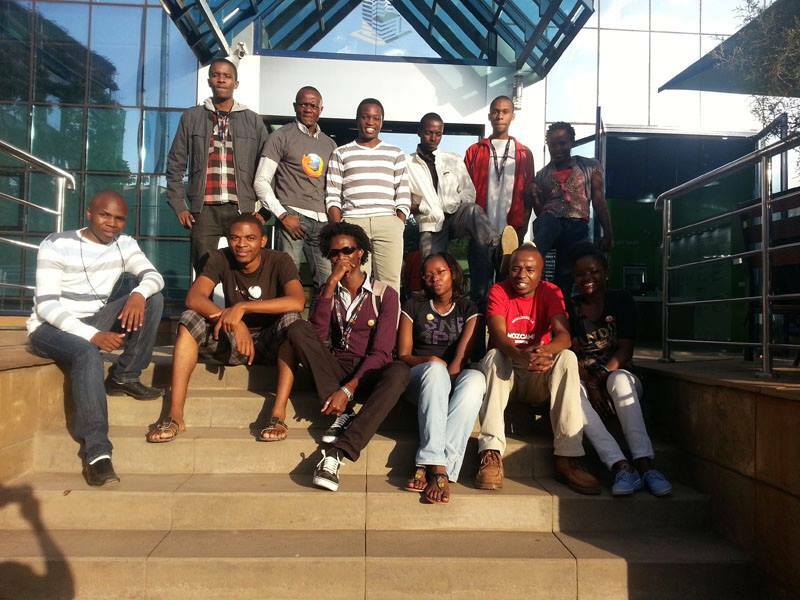 But first let’s rewind a few months back to late last year.. We started off this ambitious mission with Uganda and managed to seed a community there which had achieved a huge milestone of localizing Firefox to Luganda. The response was quite overwhelming to be honest, with the Katikiro and top government officials gracing the event with their presence and that’s when we realized just how huge a mark the name Mozilla had left across the region. Seeing this really strengthened my passion for our mission and yet this tour wasn’t as big a game changer as the next one in line. Fast forward a couple of months later and we were back at it, next stop was Rwanda and this time we wanted to do more than just show Mozilla’s presence during an event – we wanted to kickstart Kigali’s next generation of webmakers and after months of planning and finally managing to do this.. Rwanda became a game changer for me as a Mozillian and as a developer. The response was quite great and inspiring with students, devs, non-devs all being interested to sign up for the cause after sharing what we knew with them. We even managed to get a volunteer to help us with finalizing the Swahili localization of Firefox so it was indeed a successful tour. It was a busy tour at the same time with days moving by so fast that they were reduced to just hours and minutes – they say quality time flies by fast and this just confirmed that if you’re running out of time you must be having fun. 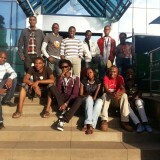 We had fun in deed, after all Mozilla = Fun! I was supposed to give my first demo on day 1 at Kigali Institute of Science and Technology (KIST) but couldn’t because of lack of time. Yeah, the rest of the team members (Alex, Vicky and Cliff) were enjoying themselves so much that they forgot about me That’s the spirit guys. Rwanda was a game changer because I finally got a chance to share my knowledge as a web developer and I was surprised with the response yet again. Here I was thinking there’s a lot I’m still yet to learn and it’s true but I never really sat down and thought of sharing what I know with others because I assumed no one would be really interested. Plus we finally realized just how much information we were sitting on during our tour as we chatted even amongst ourselves at the end of each successful day and the summer code campaign couldn’t have come at a better time for us. We had a tight schedule but despite that had to extend our stay just so we could have a small kitchen table with design students from KIST, they just hadn’t had enough on day one and thanks to this we got some cool insights on how we were to hold our 23rd June community hack jam as we kickstarted the Mozilla Summer Code Campaign here in Kenya. It’s amazing the sort of things we take for granted, so here I was thinking what could I possibly say to these guys that they don’t already know? So I simply chose to share why I joined Mozilla in the first place.. I’m a strong believer of our mission of making the web better by embracing open web technologies and the best way I could truly show this was by using the next revolutionary standard on the web – HTML 5. It’s actaully safe to say I enjoyed the presentation more than the audience did I walked them through a couple of HTML 5 features common today such as geolocation, offline app features like AppCache and local storage as well as multimedia features i.e. audio and video, new form features among others. 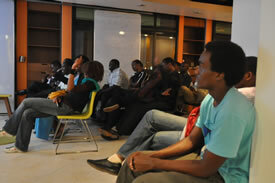 The audience was mixed with people from different backgrounds but mostly covering the local dev communities. Among the present communities include The iHills, Rwanda Open Source Community, Girls in ICT Rwanda and the PSF ICT chamber. The session was more of a one-on-one discussion rather than a presentation with Alex kickstarting the session with a talk on Mozilla communities, our projects and the importance of having an open web. 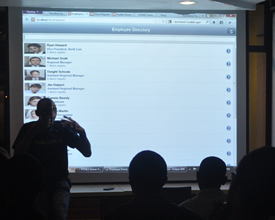 He covered everything that was needed for one to join the cause you’d think he is our portable wiki 😀 I then took over the stage and discussed a bit of the challenges each community faced as well as ourselves as Mozilla Kenya. We exchanged a couple of ideas and it was clear enough from Akaliza Keza (web dev and manager of Shaking Sun) that women need to get more involved in these communities so ladies you heard it from one of you, do something about it!! The key point though was the importnace of having a community – to support each other achieve a collectve goal and improve ourselves by exchanging new ideas and skills. Vicky and Cliff contributed actively during this segment as well with Cliff tackling issues pertaining to Mozilla Foundation (MoFO) and Vicky being a web dev like myself chipping in on my presentation on HTML 5 and open web technologies. We wound up with a demo showing how embracing open web technologies makes things easier and better for all by showing the audience an HTML 5 app that runs across both desktop and mobile browsers as well as as a hybrid mobile application. The demo app was showing how to use HTML 5 and Backbone.js to build a cross platform Employee Directory app that can be accessed over a multitude of devices with variations only being on the styling/UI Frameworks for the different target platforms – Twitter Bootstrap for the desktop version, Jquery Mobile for the mobile version and a custom vanilla skinned CSS version for iPhone. There was also an iPhone skinned version showing the use the HTML 5 localstorage feature. This is a fantastic app to show the power of HTML 5. Too bad we couldn’t show this app running on our very own Boot 2 Gecko on an actual device. However, we did compile the mobile versions skinned using JQM and an iPhone css style using the Android SDK and showed them running as fluidly and feature filled as any ordinary native app normally would. This tour began with a 24 hour road trip from Nairobi -> Kampala -> Kigali. Comprising the team were Hezron, Cliff, Vicky and myself. Having arrived a day late, we had no time to relax; one of our hosts, Arthur droped us off at our hotel where we had 40 min for shower and breakfirst and were off to the Kigali Instute of Science and Technology (KIST), our first stop for the tour. This is where Arthur lectures in Creative Design. Having spent a while contributing to and observing community practices within the Mozilla movement, I took time to talk about Mozilla’s goals and mission (fostering an Open Web as a public resource by and for the people) and the role we play in making the Web a better place. People mostly assocaite Mozilla with firefox so it was pretty important for us to talk about Mozilla’s role on the Web and how Firefox is one of the several products/projects we use to achieve this. Mozilla’s FirefoxFlicks Video competition came to an end a couple of weeks ago and the winners were annonced on 17th May 2012. This is a global video contest that invites Firefox fans and filmmakers from all over the world to create short videos (or “flicks”) to help tell the Firefox story. Mozilla wants the world to know more about what makes Firefox different: that we’re a non-profit organization aimed at keeping the power of the Web in people’s hands. Our hope is that through high-quality videos, we can help mainstream Internet users know more about the issues that affect their online lives and, more importantly, how Firefox addresses these issues. Winning videos will be used in worldwide marketing campaigns and public service announcements. 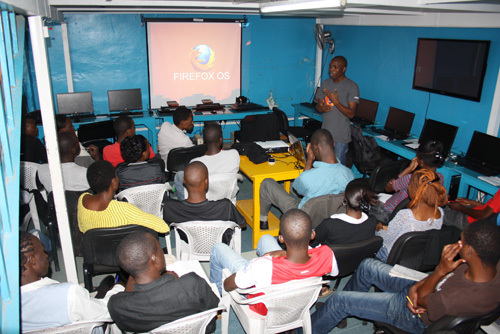 During the last month of the competition, we set plans to carry out outreach talks in several film and animation schools in Kenya to get participants for FirefoxFlicks. This was quite last minute, however, we managed to meetup with Shangtao’s administration, informed Film Aid Eastafrica and Kibera Film School regarding the competition as well as spoke to some students from Kenyatta University’s Theater Arts and Film Technology Department. The various administrations and students we spoke to were quite interested in participating but were unable to due to the limited amount of time available before the competition came to an end. Local Mozilla Reps met up though to shoot an ameture video for the same and managed to gather some fans from the park where the video was shot while at it . You can check it out here: Never Alone. There was only one video submitted form Kenya, actually Africa though with the contacts we’ve had so far with local film and animation schools/associates we hope to have a mutually beneficial relationship with them.